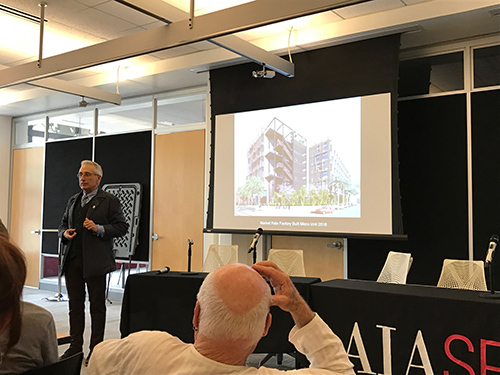 In a recent article, The Architects’ Take introduced some hand drawing techniques and showed how these drawings could serve as an aid in technical communication and problem-solving. 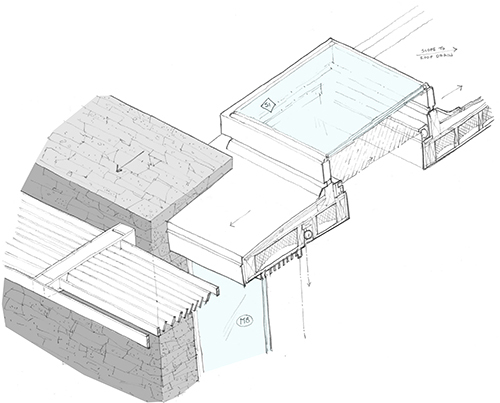 Here, we show a specific application of isometric drawing to design details in order to explore the interaction of an outdoor trellis, a building corner, and a skylight. In this case, the project was already in construction, making last-minute changes tricky and possibly expensive. 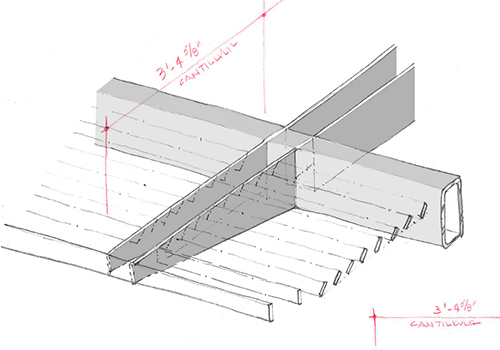 The following example is from a recent project by Mark English Architects, showing the development of several items in order. First, an overhead trellis assembly. 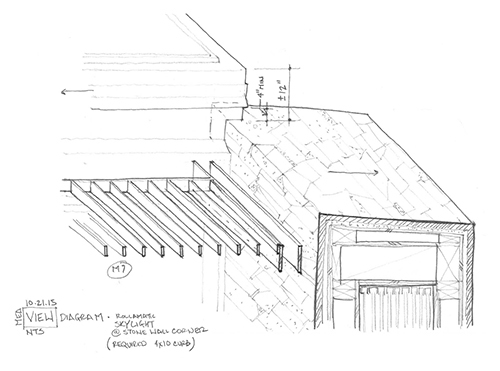 Next, the relationship between another portion of the trellis and a nearby wall and skylight. 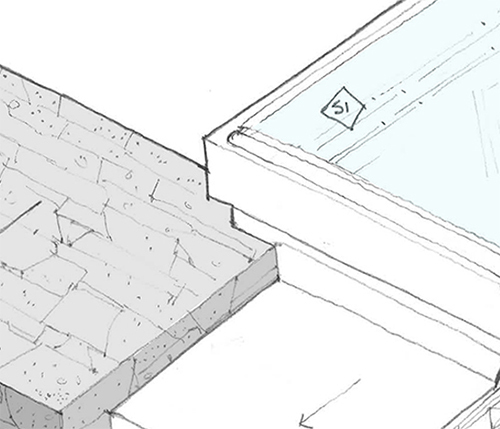 Finally, an exploration of shifting the skylight to one side by a few inches. The escalating cost of last-minute changes is well understood in other industries, particularly for tangible products such as machinery or construction. A design change made early in the project has negligible impact. 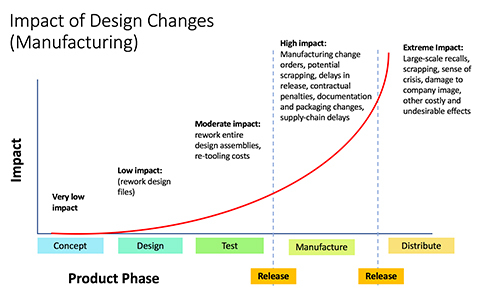 However, even trivial changes to any aspect of a product (packaging, components, even documentation) made very late in the project can have a cascading impact if made after all manufacturing, packaging, shipping, distribution, marketing, translation, and other related tasks are already complete. After a certain point, re-dos or even scrapping may be necessary – all expensive and inconvenient propositions. The impact of the same design change can be minimal or severe, depending on whether it occurs early or late in a project. This can apply to any tangible custom-designed product that involves multiple parties and extensive materials processing or construction. 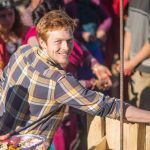 In this case, a late-breaking concern raised by the architect regarding constructibility had to be resolved practically on the spot before the builders and fabricators commenced work on the area. 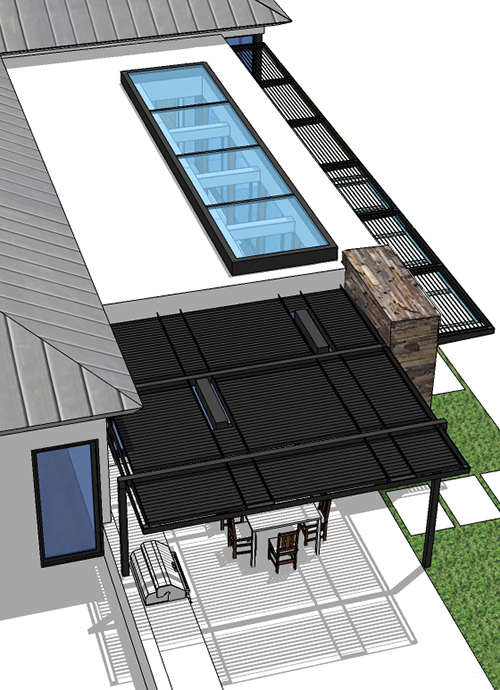 There was a realization that this small area of the project, a small corner where roof edge, stone wall, and skylight converged, required an understanding in 3D to explore the options and convey those options clearly to the builder. On the opposite side, another trellis continues the same theme. 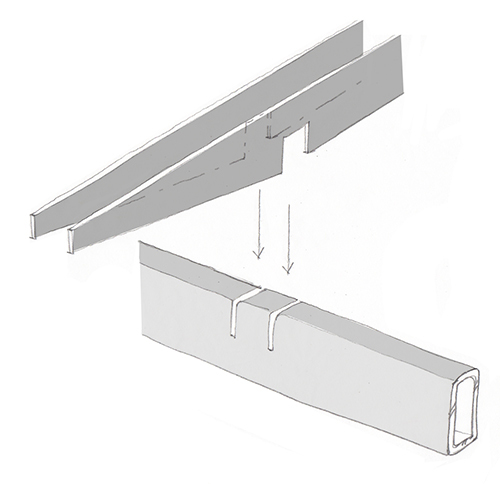 The skylight follows the contour of the wall, with a frame that rises up several inches. The issue came to light onsite, during construction, rather late in the design process. The architect wanted to explore what would happen if the skylight were moved over and off the wall by a few inches. Does it make waterproofing and installation needlessly complex? Would it be better for both visual aesthetics and constructibility to move the skylight off of that corner by a few inches? 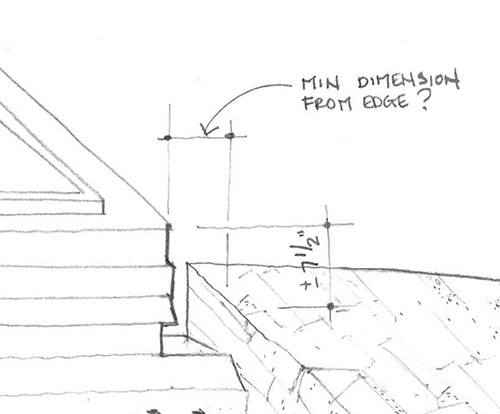 Since this question only arose during construction, the skylight shop drawings were currently under review prior to ordering. The hand-drawn method was used to explore and convey the two options quickly. Skylight, trellis, and stone wall, after moving skylight away from the wall. The architect used the drawing to understand the corner condition, and concluded that – yes, the skylight should be moved off the wall. The architect discussed the new design intent with the builder prior to signing off on the shop drawings. 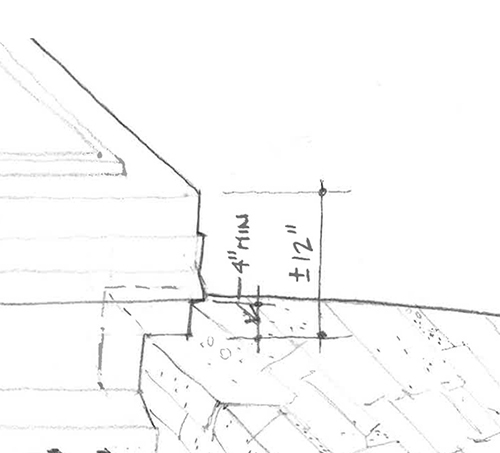 The hand drawings were essential in communicating this intent clearly to the builder, and directing changes to the skylight framing and flashing details. 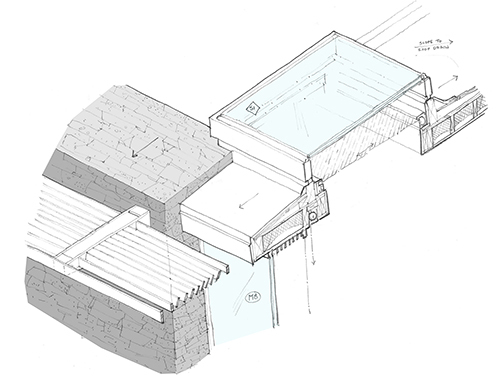 Isometric hand drawing was a method for the architect to visualize and think things through before presenting new ideas to the owner and the builder. Minor changes could make a detail easier or harder to construct, or could have an aesthetic impact. The quick hand drawing of a small corner had a very significant impact on both the aesthetics and constructibility of this crucial detail.